Although radiators have been turned off, air conditioning, fridges, fans and swimming pool pumps are working flat out these days as Danes swelter. This will hit consumers where it hurts – in the wallet – as electricity prices have risen by 66 percent compared to last year, according to figures compiled by Ingeniøren from data supplied by the electricity power market Nord Pool. Prices are being forced up because it has not been possible to generate as much wind power as usual due to calm weather. Wind turbines are only producing around 3 percent of the required amount of power. On the other hand, solar panels are doing very well. 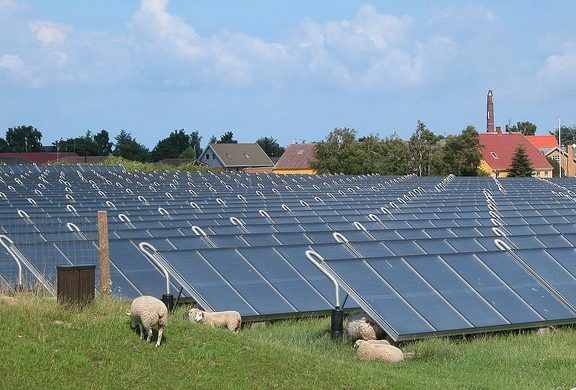 According to figures from Energinet, over the last three months solar panels in Denmark have been able to produce electricity equivalent to the yearly consumption of 120,000 households. This is 40 percent more than last year. “We can only be satisfied when we see these figures,” Flemming Christensen, the chair of the Danish solar panel association, told DR Nyheder. “This means our members are getting the maximum dividend from technology as well as it being good for the environment and society because we are producing a lot of power without using resources and without polluting, so it’s the right way to go,” added Christensen. Unfortunately, the cumulative effect from solar panels is still less than a sixth of that of wind turbines, so they are unable to compensate for the lack of wind power. In similar situations in the past Denmark has looked to Norwegian hydroelectric power to plug the gap, but this year the region-wide drought has affected production in Norway and electricity prices there have doubled to around the same as the Danish level. Instead, Denmark has had to look to Germany and imports of power from there have doubled in May and June compared to the equivalent period last year, according to figures from Dansk Energi made available to Ingeniøren. This is bad from a CO2 emissions point of view as a lot of the German electric power comes from coal or gas-fired power stations. To compound the problem, when biomass, gas or coal are burnt to generate power in the summer, the warm water produced as a by-product of cooling cannot be used up in remote heating systems and ends up being pumped into the sea.